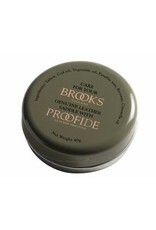 A new saddle should be treated with Brooks Proofide leather dressing to help assist the ‘breaking-in’ process. Proofide keeps the leather supple as it is specially formulated from natural ingredients to condition, preserve and shower proof your saddle. 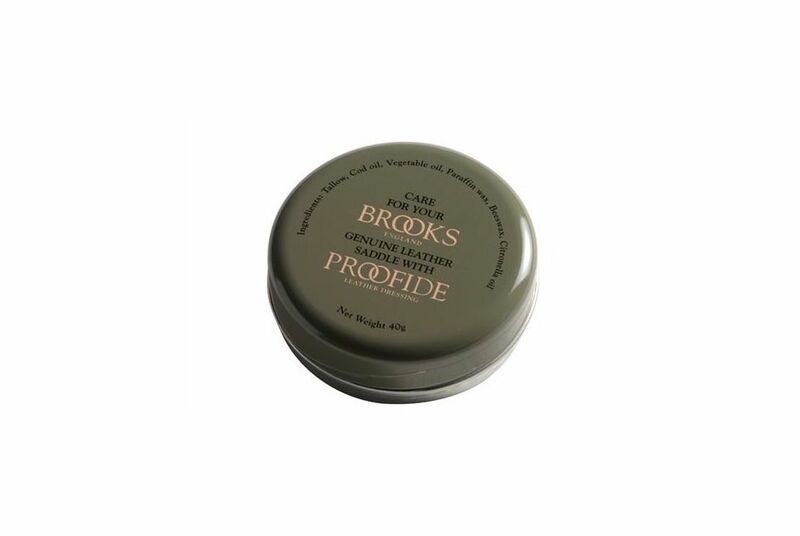 Proofide is the only substance that should be used to care for your Brooks Leather Saddle. Apply a little Proofide to the finished side of the leather. Allow the Proofide to permeate until dry and then polish off. Proofide should be used several times during the ‘breaking-in’ period and every 3-6 months thereafter. On bicycles not fitted with mudguards, an initial application to the underside of the saddle will be beneficial, this needs not to be polished off. The leather gets its colour during the tanning process and it is possible, therefore, that some colour residues will remain. It is recommended to polish the saddle with a soft cloth before first use.